The eagle design measures 5 1/4 inches tall by 5 inches wide.This eagle is proud to live in the USA. 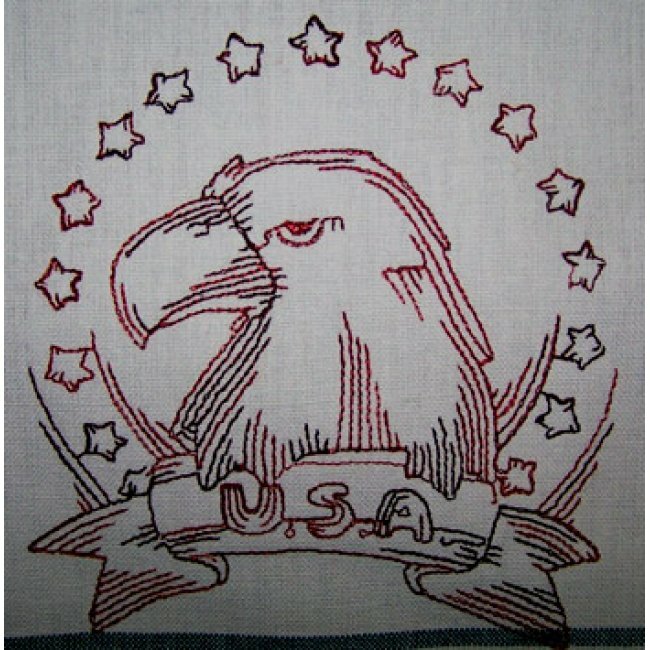 The embroidery design on this tea towel is done in variegated red thread. Under the eagle the banner has the letters, "U.S.A." Surrounding the eagle are 17 red stars. 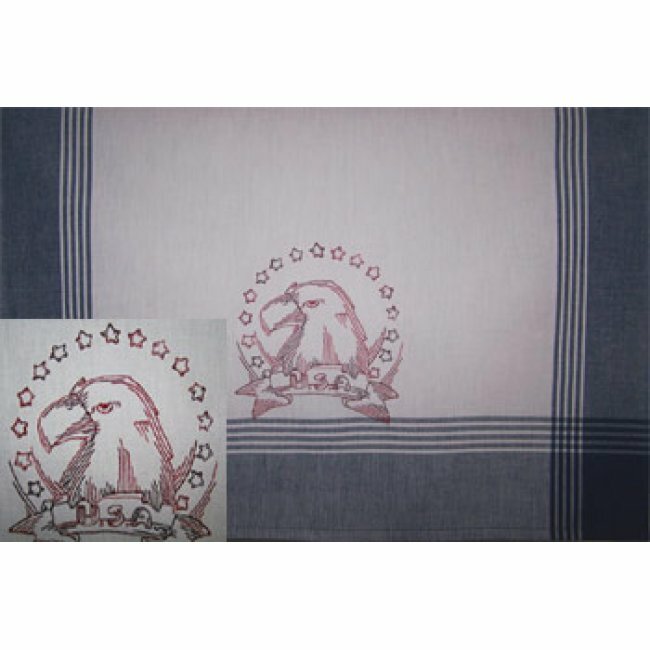 The eagle is done on a heavy quality Dunroven tea towel with denim blue border and stripes on all four sides, with navy blue squares on all four corners of the towel. The towel measures 20 inches wide by 28 inches long.